Close to the world renowned dive sites of the Bligh Waters. 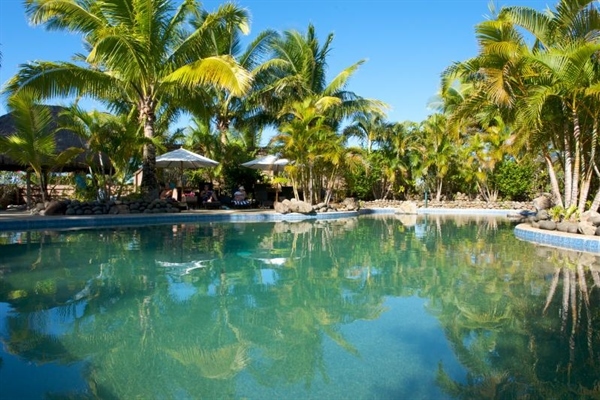 Hidden away in a perfectly idyllic setting on Fiji’s northern sunshine coast, Wananavu is a four star island paradise experience with the easy convenience of still being on mainland. Just over 2 hour’s journey from Nadi airport, on arrival at the resort you will be greeted by smiles and the biggest “Bula!” in the real Fiji. 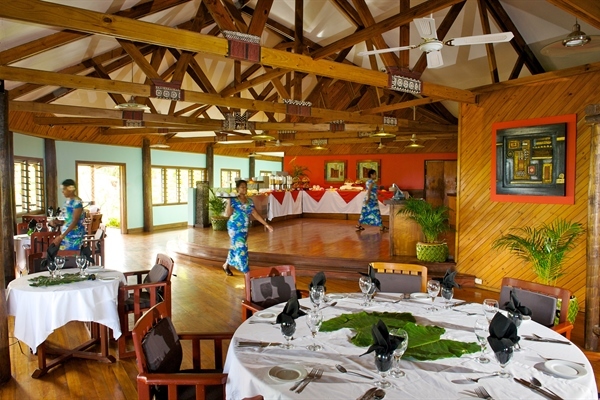 Whether you are looking for a scuba dive resort to get below the surface on the world renowned dive sites of the Bligh Waters, say “I do” in a beachfront wedding ceremony or just doze to a book, Wananavu Beach Resort will seduce you and keep you far from the maddening crowds found on Fiji’s larger resorts. Set amongst lush tropical gardens along the beach front and perched on the hill with endless views over the crystal clear waters of the Cakau Batidra Reef and Nanavu Islands, Wananavu’s accommodation is designed so you can relax and feel rejuvenated by your tropical holiday. The 34 bures are all beautifully appointed, tastefully decorated and have a distinctively Fijian feel so you can escape from the modern world and truly relax as there are no TV’s or radios in the rooms allowing you to switch off and surrender yourself to the lost art of relaxing. 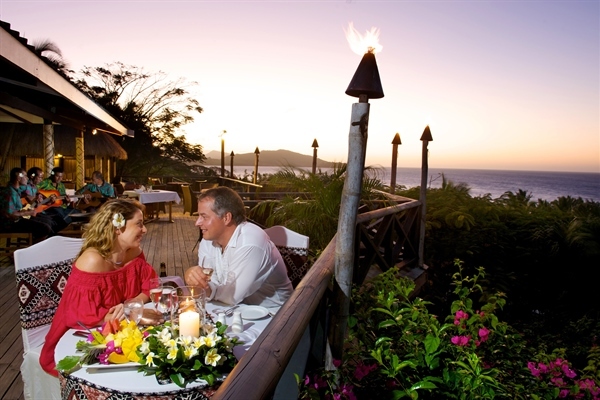 Wananavu’s chefs take pride in creating great dishes so that your dining experience will be a memorable part of your stay on this picturesque island resort. Glorious weather means you can choose to dine on the deck where you can take in the panoramic views of the clear blue Pacific Ocean and the lush tropical gardens. In the evening what could be more perfect than a drink on the deck while you watch the sun set and the ceremony of the lighting of the flares? 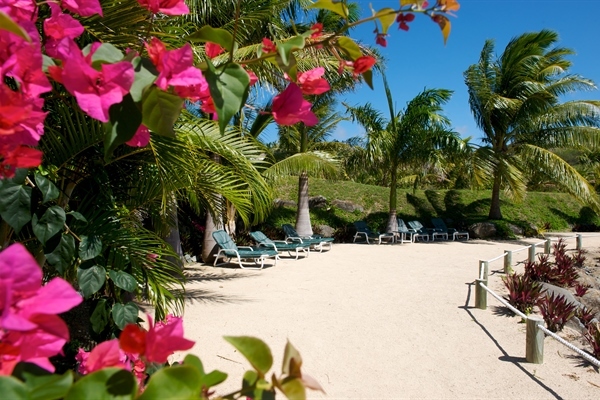 The resort has been designed with fun and relaxation in mind. With a range of free facilities and attractions for you to try on, you can choose to go on cultural tours with host interesting talks on the history and culture of the region, herbal medicine and the Fijian flora and fauna. If underwater activities are all you want then Dive Wananavu is able to showcase everything that makes the Bligh Waters legendary. As the only land based dive operation in Fiji that is able to offer on-site and on-demand NITROX, Dive Wananavu encourages you to take advantage and extend your time below. Overlooking swaying coconut palm trees and the azure blue Bligh Waters you will find Wai Spa, this is the perfect place to indulge yourself and be pampered by the resort’s professional staff. Breakfast, 2 course lunch and 3 course dinner . Transfer. All government taxes. Diving with belt, tanks and unlimited shore diving. 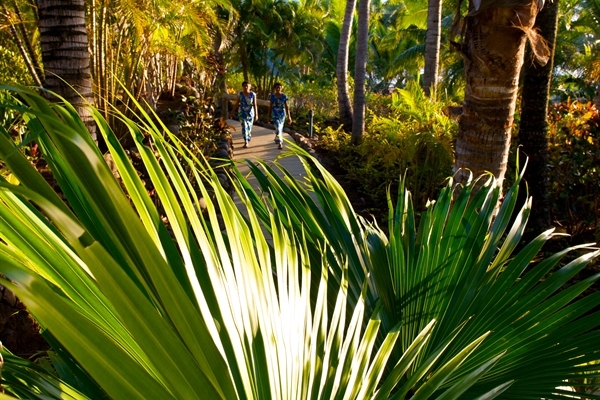 Surrounded by a lush tropical garden Wananavu’s Garden View Bures are the perfect place to unwind and enjoy your time in paradise. Tastefully decorated in Pacific style with timber floors and attractive artwork, the 4 one bedroom bures and 1 two bedroom bure are ideal for couples and family groups. The sight of the ocean and the scent of flowering hibiscus, frangipani and proteas greet you every morning when you wake in the Ocean View Bures. Situated just above and below the main complex, the 14 one bedroom bures ensure privacy plus easy access to all Wananavu’s facilities. 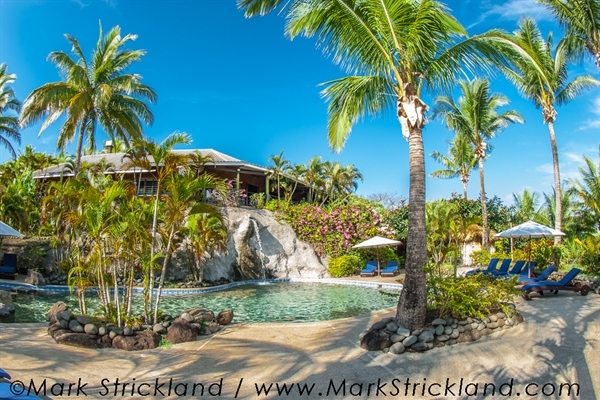 Wake to tropical sunshine and the sound of the gentle waves lapping the beach. Stroll to the water’s edge and take a dip, go snorkeling, laze in a lounger, or relax in a hammock slung between two coconut trees. The 8 one bedroom Beach Front Bures are ideal for couples and small families. A Fijian honeymoon is a dream come true with the Pacific Ocean as a backdrop, complete privacy and luxurious surroundings. You couldn’t get a more romantic accommodation than the Honeymoon Bures. 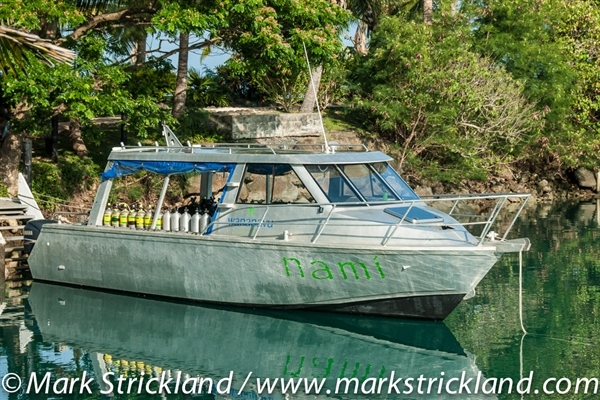 Nadi International Airport to Wananavu Beach resort is approximately 2 hours and 15 minutes. 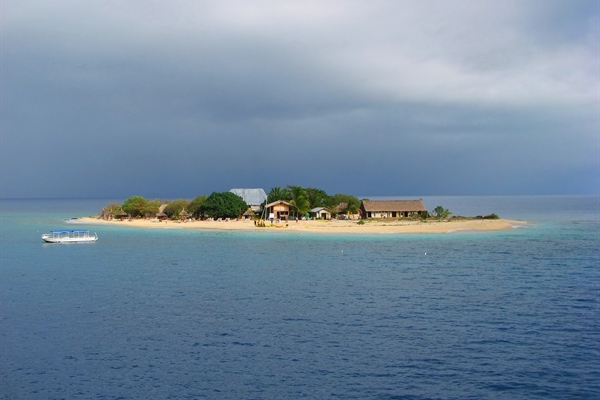 Ra Divers is one of Fiji's longest established diving operations located on the grounds of the Volivoli Beach Resort in a small village north of Viti Levu called Rakiraki. This professional SSI Dive Resort was established in the 1980’s offering a variety of dive packages for beginners and advanced divers. Ra Divers crew are renowned for their local knowledge and expertise and the current managers have been running the dive centre for over five years. 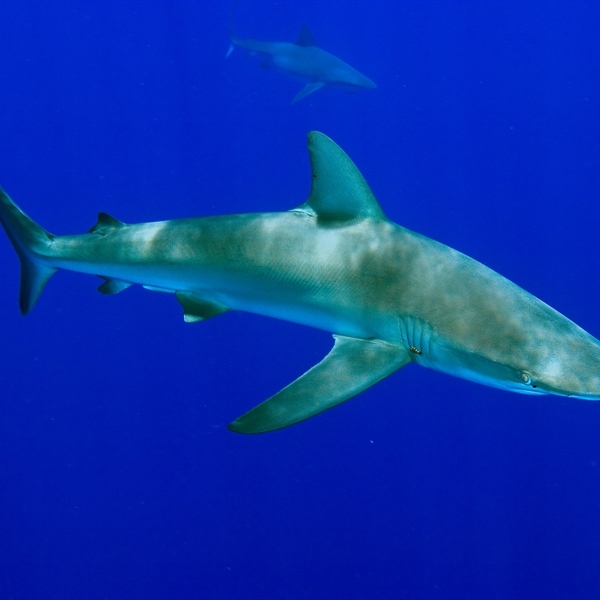 Their experience diving the Bligh Waters has allowed for superb dive sites to be handpicked for a truly unique experience. Most of the best sites are no more than 20 minutes by boat from Volivoli Beach. 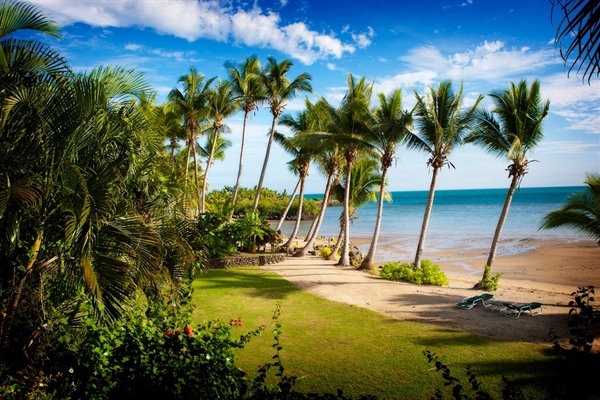 Volivoli Beach is one of the best places in Fiji to learn to dive. Ra Divers have an open air classroom where beginners can get certified with a SSI open water diver course and then explore the shallow waters right off the sand spit. 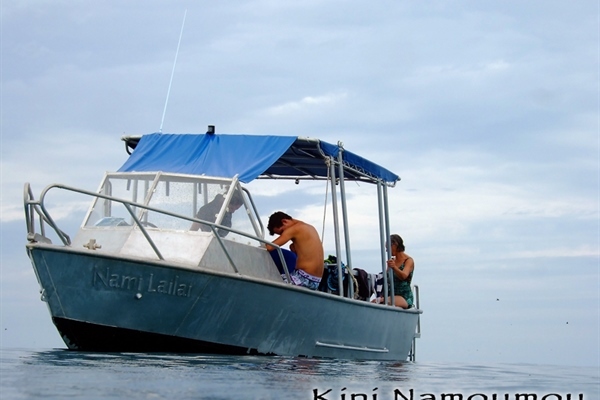 Dive Packages : All dive packages are based on boat morning dives. When you book a package of 6 dives or more you can take advantage of free shore diving.